Baldness is a significant concern for a number of adults, whether it's brought on by genetics, age, hormones, health conditions, or from styling products or practices. With current advances in research within the hair restoration industry, new procedures are being made to help fight the issue. ALMI platelet-rich plasma (PRP) is a premier, nonsurgical remedy that's showing remarkable benefits in slowing, stopping, and reversing baldness. PRP has shown promising results in individuals with alopecia areata or thinning eyebrows. 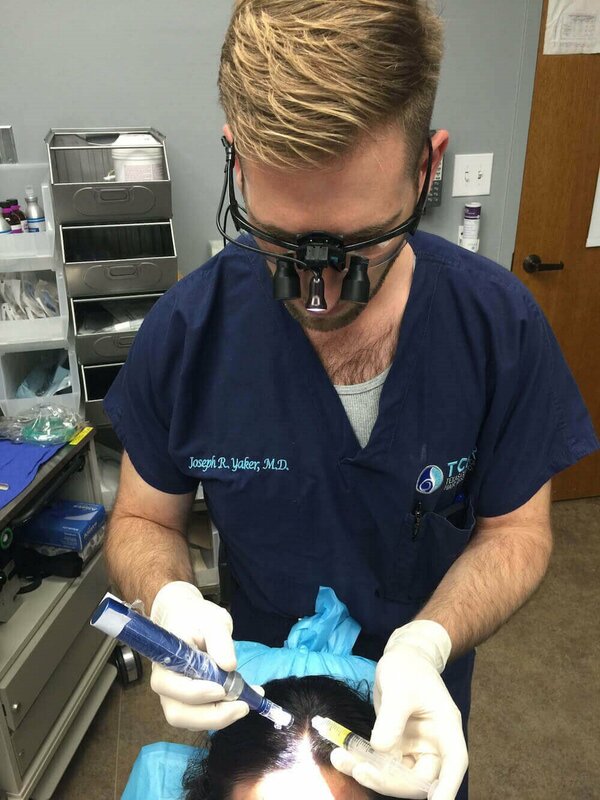 Dr. Edward M. Zimmerman of Aesthetic Revolution Las Vegas is just one of a small number of hair restoration surgeons to perform this revolutionary treatment in Las Vegas, NV. By mixing a strong solution of hair growth factors and bioactive proteins, Dr. Z can help strengthen your hair, resulting in thicker, longer, healthy locks. Hair loss affects 70% of men and can start as early as a male’s teenage years with risk increasing in age. Hair loss can result in the loss of confidence and has been one of the more difficult areas to treat – with painful surgical processes, lotions and pills that don’t work, and expensive hair pieces. It is often an area that can cause frustration and embarrassment. Whether it is for a receding hairline, a balding area, a lack of fullness and volume, or thinning or sparse hair overall, the ALMI PRP injection may be the all-natural solution for your hair loss. A nonsurgical process, the ALMI PRP treatment is a brief one-hour in-office visit. The procedure starts with obtaining a small amount of your fat tissue and blood and putting it in a specialized machine, which rotates the adipose and blood at high speed to remove the stem cells and platelets from the remaining portion of the blood elements. After that, a local anesthetic will be administered to your scalp and the platelet-rich plasma and other concentrated components will be reintroduced into regions of your head that are bald or thinning. Then, microneedling is performed on the scalp to cause micro-trauma and micro-channels to the epidermis, which triggers the PRP and permits it to seep deep into the skin. Our routine for nonsurgical management of baldness contains an initial therapy and maintenance therapies roughly every nine months to a year. There's no recovery period necessary after this process with almost no limits or constraints. If anything, patients can develop some discoloration, minor swelling, and mild discomfort to the treated regions. These symptoms can last up to two days. While outcomes differ for every individual, aesthetic results are most often noticed approximately 4 – 6 months after the initial session and can continue to improve for as much as a complete year following therapy. Since ALMI PRP isn't a permanent alternative for reversing hair loss, follow-up sessions are suggested every 12 – 18 months. It's necessary to be aware that ALMI PRP doesn't develop new hair follicles in locations where you're already bald. It's utilized to reverse the miniaturization of hair follicles so they will create fuller, healthier, longer hair fibers. PRP therapy costs will depend on many factors, including how many treatments you are getting. During your consultation, Dr. Z will create your PRP treatment plan to maximize your results. Then, he can discuss the cost of your PRP therapy. He will also tell you about any current specials being offered and which payment methods Aesthetic Revolution Las Vegas accepts. Many patients combine other treatments with PRP therapy, including topical medication applied at home, microneedling, and more. Dr. Z will assess your scalp and level of hair loss before creating your custom PRP therapy treatment plan. He will discuss his recommendations for what in-office treatments are best for your hair loss and any home products that might help between appointments. Most patients need at least three PRP treatments performed one month apart to see results. Your specific PRP therapy program will depend on the degree of hair loss and your goals. Based on this, Dr. Z can recommend how many PRP treatments you will need and how often you should schedule them to stimulate your hair growth. If your condition is more advanced, he may recommend more treatment initially, which can be performed less frequently once you begin to see results. The outcomes of your PRP therapy will depend on the severity of your hair loss, how many treatments you get, and other factors. You should also remember to be patient with your results, as it takes time for new hair growth to become visible after the PRP stimulates the process. During your consultation, Dr. Z will discuss if you are a good candidate and what results you can realistically expect. You may need to continue to get PRP therapy to maintain your results and limit future hair loss. While the PRP is being prepared, a numbing serum will be applied to your scalp to keep you comfortable during the PRP injections. This should minimize your discomfort during the procedure, but talk to Dr. Z if you have any concerns or pain. Your scalp may remain numb or tingle for a while after your PRP injections, but this is temporary and normal sensation should return shortly. PRP treatment is a clinically backed alternative for individuals struggling to choose between hair loss solutions. 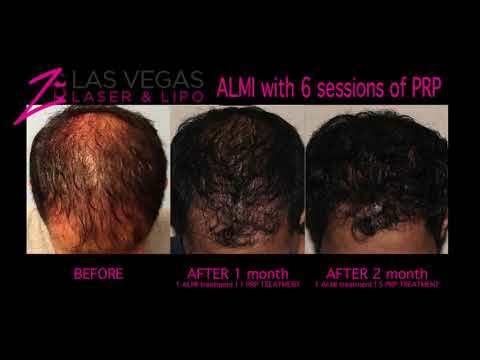 At Aesthetic Revolution Las Vegas, we are honored to offer effective solutions to efficiently address hair loss. To find out more about PRP sessions, we welcome you to contact our Las Vegas, NV facility now. You deserve to look and feel your best and thanks to this revolutionary treatment, your cosmetic goals can be a reality.